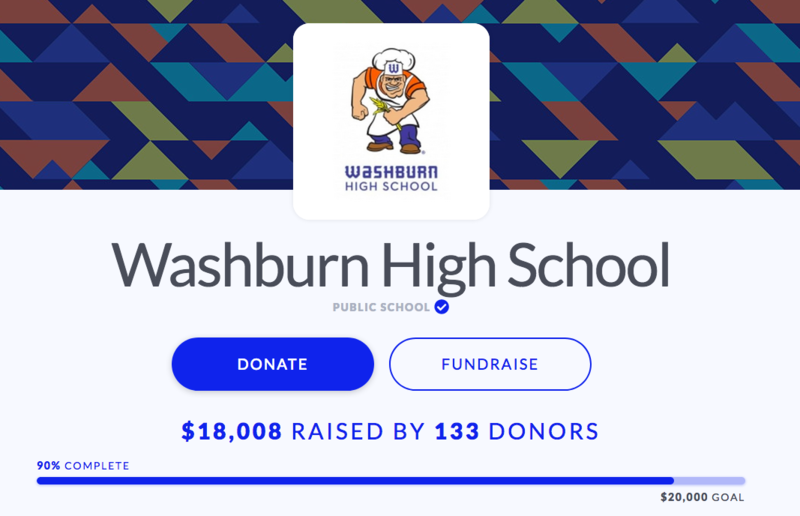 Thank you to the Washburn Community! A huge thank you to the 133 donors who donated to support Washburn through the 2018 Give MN Campaign! We raised over $18,000 for supplies for Visual Art and Science. Thank you to our fabulous Miller community - we are so grateful! And it's never too late - you can donate any day all year at https://www.achievempls.org/give - just designate Washburn and 100% of the funds come directly to us.